A new lineup of official Pokemon Hair Bands have been revealed by Kstargate in Japan. 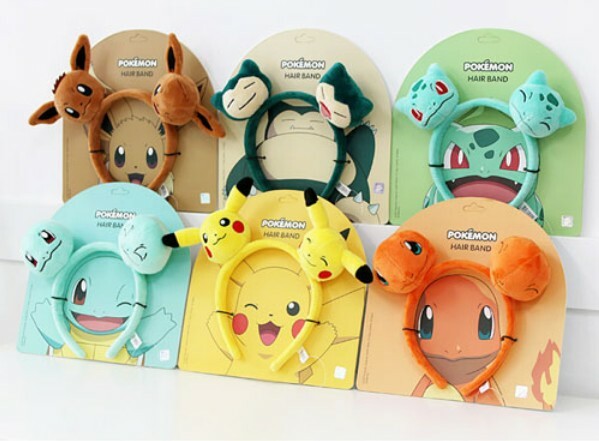 What makes these hair bands so special are two plush-like Pokemon heads on the left and right of the hair band. Pokemon designs include Eevee, Snorlax, Bulbasaur, Squirtle, Pikachu, and Charmander for 2140 yen each. Buy yours here (ships within Japan only).